← Hackney Library’s Web Site Gets a Makeover! UPDATE: We have good news! We are opening up this event to non-Friends members, so if you are interested in attending, please come by either Hackney Library or the Wilson County Public Library ASAP to pick up an invitation. Deadline for RSVPs and payment is now Monday, October 1, 2018 by 5 pm; we will take RSVPs on a first-come, first-served basis. Barton College’s Friends of Hackney Library and the Friends of the Wilson County Public Library are cooking up a feast for their jointly-sponsored Fall 2018 Dinner/Lecture. The featured speaker at the event will be Vivian Howard, Kinston chef, restaurateur, New York Times bestselling author, and star of PBS’s award-winning television show, A Chef’s Life. The event will be held on Tuesday, October 9, 2018, 5:30-8 pm, in Wilson Gym on the campus of Barton College. Because of Howard’s prior commitments, the schedule of events will begin and end earlier than for a typical Friends event: A wine reception and book signing will be held from 5:30–6:30 pm (note the earlier start time), followed by dinner at 6:30 pm and the program at 7:15 pm. Copies of Howard’s New York Times bestselling cookbook, Deep Run Roots: Stories and Recipes from My Corner of the South, will be available for purchase, and Howard will be available to sign them, during the wine reception/book signing only (not after the program). The debut cookbook has won numerous awards, including the International Association of Culinary Professionals’ Cookbook of the Year Award in 2017, as well as its additional awards in three of four categories in which it was a finalist: General, Chefs and Restaurants, and Julia Child First Book. 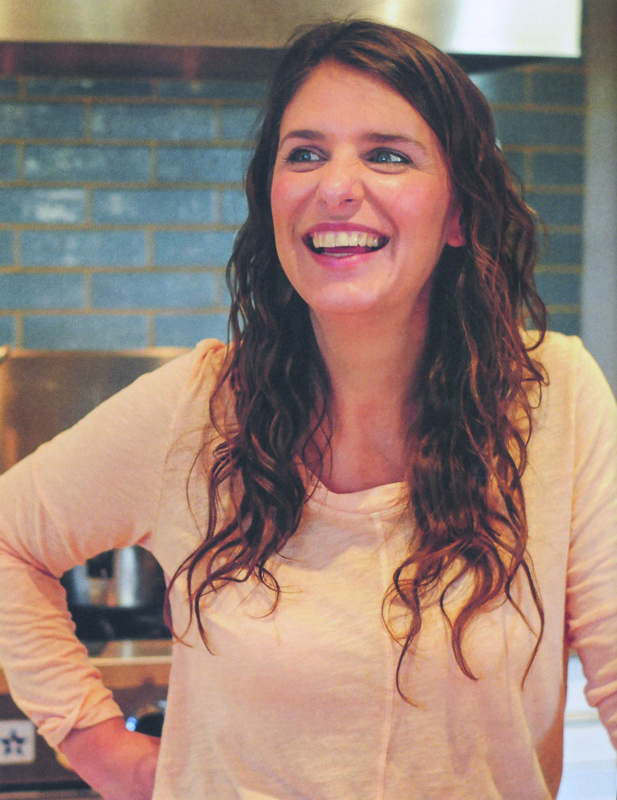 Vivian Howard is the owner and award-winning chef of two Kinston restaurants (the acclaimed Chef & The Farmer Progressive Eatery and the Boiler Room Oyster Bar). In 2017, she and her husband and business partner, Ben Knight, opened a third, Benny’s Big Time Pizzeria, in Wilmington, North Carolina. Next on the docket is a bakery in Kinston called Handy and Hot, to feature sweet and savory hand pies and serving a need in Kinston for “a place to get an excellent cup of coffee, and something tasty, creative, and satisfying for breakfast and lunch,” says Howard in an “Eater” interview with Hillary Dixler Canavan. These hand pies, shallow-fried in lard, are a throwback to Howard’s childhood, when she ate them growing up at B & S Café in Deep Run, her hometown. B & S Café chef Claire Merrell Barwick shared her secret with Howard long after she retired: Soft dough, rolled so thin as to be translucent. As Howard recounts in the “Eater” interview, “That’s what sets these apart from an empanada or a Jamaican meat patty….Delicate is what you’re going for.” Handy and Hot is slated to open in the same block as her two other Kinston eateries. Howard’s inaugural cookbook, Deep Run Roots: Stories and Recipes from My Corner of the South (featuring more than 200 recipes celebrating the flavors of eastern North Carolina), was nominated for a James Beard Award for the American Cooking category and has won four awards from the International Association of Culinary Professionals in these categories: Cookbook of the Year, Julia Child First Book, Chefs & Restaurants, and General. 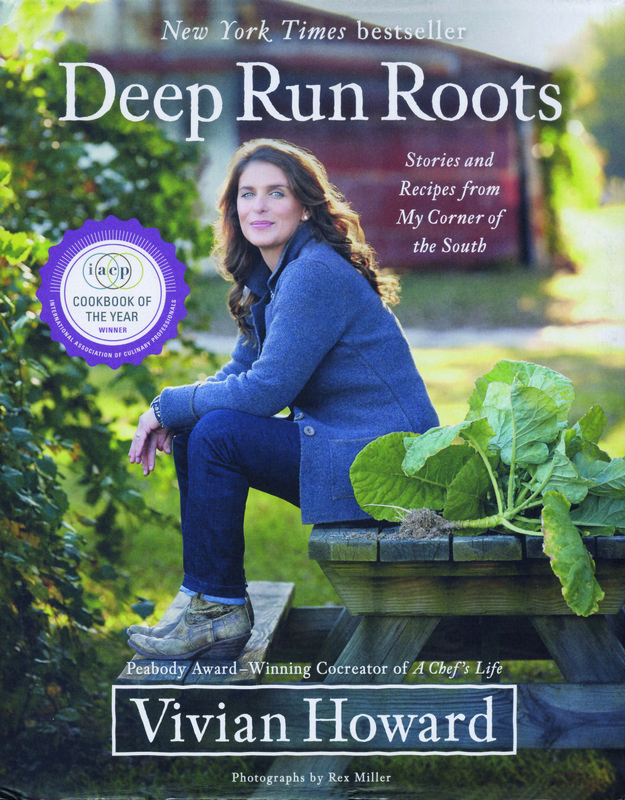 In addition, Deep Run Roots was selected as the winner of the 2017 Southern Book Prize for the Nonfiction – Cooking category, and it debuted at #5 on the New York Times bestseller list. Howard describes the book this way: “Part story, part history, part recipes, I’d like to think Deep Run Roots is much more than a cookbook. And I hope it’s the first of many books like it [that] I get to write.” Howard is now at work on a second book. Not only is Vivian Howard a successful restaurateur and a New York Times bestselling and acclaimed author, she is also the star of the award-winning PBS television show, A Chef’s Life, which wrapped its fifth and final season this past spring. According to a July 25, 2018 Eater interview, a last “Harvest Special” series epilogue of sorts will air in the fall of 2018. The show, with some 2.5 million viewers per episode, garnered a Peabody award, two Daytime Emmy awards (in 2015, for Outstanding Directing in a Lifestyle/Culinary/Travel Program; and in 2018, for Outstanding Culinary Program), and a James Beard award (2015, for Outstanding Personality/Host). But Howard’s not yet finished with television: Drew Jackson with the Raleigh News and Observer reports in a July 24, 2018 article that Howard has a new series of six one-hour episodes in production, tentatively titled South by Somewhere, that will feature “Howard playing the part of culinary anthropologist and showcasing the foods and traditions that cross and connect cultures.” Like A Chef’s Life, the new show will also air on PBS and will be produced by Markay Media. Howard has also just picked up a second James Beard award (2018’s Best Instructional Video, for her step-by-step instructions for making black bean glazed salmon with ginger cabbage for the website pannacooking.com). Howard, her husband, and their two children live in Deep Run, North Carolina, near Kinston. A current individual member of either group, plus one guest. The members’ RSVP deadline is 5:00 pm on Monday, September 17, 2018. In the event that there are still spaces available after the September 17 members’ deadline, we will open the event up to non-members, and the non-members’ RSVP deadline for that group will be Monday, October 1, 2018. For more information about the event, please contact Ann Dolman at (252) 399-6507, or email the Friends of Hackney Library at fohl@barton.edu.